Red hot Essex play host to a star studded Surrey line up in a mouth-watering opening clash in the T20 blast. Essex are having a wonderful season so far, having won seven out of eight RLODC group games, as they topped the South Group by some margin. After losing out to Notts in the semi-final, the Eagles have continued their solid form in the Championship and are currently 29 points clear at the top of the table. Surrey, on the other hand, have stagnated somewhat since their crushing opening Championship win against Warwickshire, which ensured their status as early season titles favourites. However, six red-ball matches without a win and another runners-up medal at Lords (third in three seasons) has left frustrations building at the Kia Oval. Success in the Blast could banish those frustrations, however, and Surrey sure have the team to do so. They boast the most destructive batting line up in the country with a top five of: Jason Roy, Aaron Finch, Kumar Sangakkara, Kevin Pietersen, and Ben Foakes. 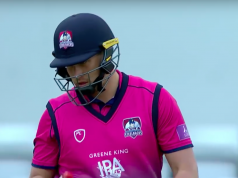 They will be looking to improve on last year’s disappointing campaign, as they missed out on qualification by just one point – had Essex lost their abandoned fixture, Surrey could have qualified. 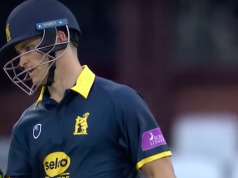 Essex will be hoping the momentum gained from this season will be enough to see them past the semi-final stage, something the Eagles have never achieved since the competition began. Essex have only failed to progress from the group stage once in the past seven years, but have fallen in the quarter-finals four times, and twice in the semi-finals. Simon Harmer has been a revelation for Essex this season. The kolpak signing has a stunning 47 wickets in the Championship and has bowled 104 more overs than any other bowler in the process. Although the 28-year-old possesses a modest t20 record; given the high-scoring nature of Chelmsford, Harmer’s four overs of off-spin will be crucial to breaking partnerships and restricting Surrey’s run rate. One player that Essex will look to attack with pace off the ball is Jason Roy. The England opener loves pace on the ball and has been susceptible to spin early in his innings. However, if Roy gets going then Chelmsford really isn’t big enough after the 26-year-old’s recent return to form. During his last Blast match at the end of last year’s campaign, Roy smashed an unbelievable 120* (62) which included 15 fours and three sixes. Arguably, Essex have the strongest squad in the country as most of their first XI play in all three formats. Alastair Cook has joined up with England after an extended spell in county cricket; but the former England captain was unlikely to play in the Blast anyway. Limited overs specialist, Ashar Zaidi, will provide a lot of energy with both bat and ball. Mohammad Amir, too, will be crucial to penetrating Surrey’s powerful top order. Essex Squad: Ryan ten Doeschate (c), Mohammad Amir, Ravi Bopara, Varun Chopra, Matt Dixon, James Foster (wk), Simon Harmer, Dan Lawrence, Jamie Porter, Callum Taylor, Paul Walter, Tom Westley, Adam Wheater, Ashar Zaidi. Surrey will look to unleash their explosive batting line-up for the first time, as 200 should be par for them. The bowling attack will provide excellent support for their batting; although Aaron Finch may be required if they need a sixth bowling option. Tom Curran will be buoyed by his recent performances against South Africa and Jade Dernbach is always dangerous in this format. Mark Stoneman and Scott Borthwick are unlikely to feature in this competition for the first time in a number of years after their time at Durham. They will, however, provide excellent cover should any injuries occur. Essex will be preparing the tacos as 200 should be par for these two sides. The pitch should be fresh as the hosts were without a Championship match this week, and the warm weather should make for a lightning outfield. 743 runs were scored during the RLODC semi-final with just ten wickets falling across the day.